Sports Floors, Inc. has been committed to providing the Mid-South with the most beautiful, long-lasting athletic flooring available. It is very important to care for your athletic floor properly. You should always follow the floor manufacturer's recommended procedures. 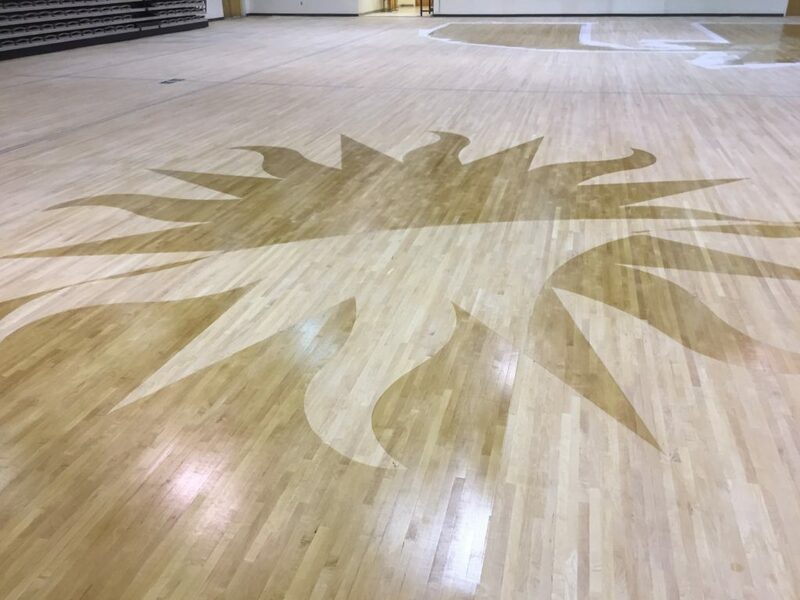 Since 1995, Sports Floors, Inc. has been committed to providing the Southeast, including TN, MS, ARK, LA, ALA, TX and MO with the most beautiful, long-lasting athletic flooring available. We incorporate customer preference, facility demands, safety requirements, budget, and environmental stability to create flooring that is as aesthetically pleasing as it is practical. We are proud to service the states of Tennessee, Mississippi, Arkansas, and Louisiana! Ole Miss Basketball; Campus Recreation Prepare for "Square Jam"
NCAA rule change, Memphis City Schools help keep business bouncing at Sports Floors, Inc.